1. 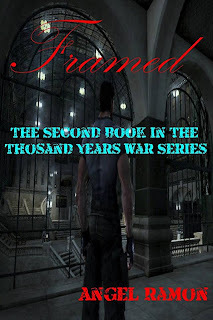 Tell us about The Thousand Years War trilogy. What inspired you to write it? 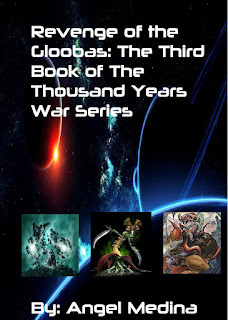 The titles are The Thousand Years War, Framed: The Second Book of the Thousand Years War, and my upcoming novel, Revenge of the Gloobas: The Third Book of the Thousand Years War. As for my inspiration, it was an idea that I had locked away for over 13 years. I grew up loving sci-fi books, TV series and video games. Also, I had an urge to create my own stories to tell, as I always saw myself with a talent for writing. Finally my girlfriend (who I met eight years ago) is a poet, and she inspired me to get back to writing, and to write that series I had locked away all those years. I have to say at least 85% is pure fiction simply because it takes place in a virtual world and aliens are the adversaries. However, there are a few parts based on real events such as the Dark Ages and the fall of the Roman Empire. Many of the settings are based on real places. Honestly, most of my characters are based on people in my life that I still talk to today, or that I grew up with. So I gave them many traits to closely match their personality. I became a writer because I have a love for the art and enjoy telling stories that no one else could imagine even if they tried. Also, I see so many mediocre TV shows and have read so many mediocre books. I know how to tell a great story. I know in my heart I can write a much better story that is completely original. Believe it or not, I’m a complete book worm and love to read. Finally, it feels good to see my story out for the world to see, to hold a paperback copy of my book. My routine is I start around 11am to 12pm, just put on some good rockin’ music, mostly from the 90’s since that’s my decade. Most of the time, you’ll catch me in my room catching the fresh Puerto Rican breeze through my window, or if it’s even cooler outside, I’ll be working outside. When it comes to formatting and preparing to publish my book, I’m mostly in my room which has become my scribe’s office and library. I’m mostly a hard sci-fi writer, although I mix paranormal and romance elements within the stories. For the most part, I’m a fiction writer, though I do have a non-fiction book to be written in the future. I like novels and short stories, as they give the author much more leeway to let out their creative juices and it allows for much deeper character development. Also, action scenes can be a lot more descriptive and many twists and turns can be added to the story. More of the author’s personality can be shown in the book, rather than having to be rushed in a much shorter piece of work. There are so many, I can’t say that I have a favorite book or author. I will say that I prefer science fiction, paranormal and crime thrillers. At the current time I’m reading Hunter of the Dead by Stephen Kozeniewski. Yes, there are a couple of them I’m excited about, such as Benjamin Munday, who’s coming out with an eight-novel series, and J.F. Fleming who is a crime-thriller writer. Actually, I have several of them. 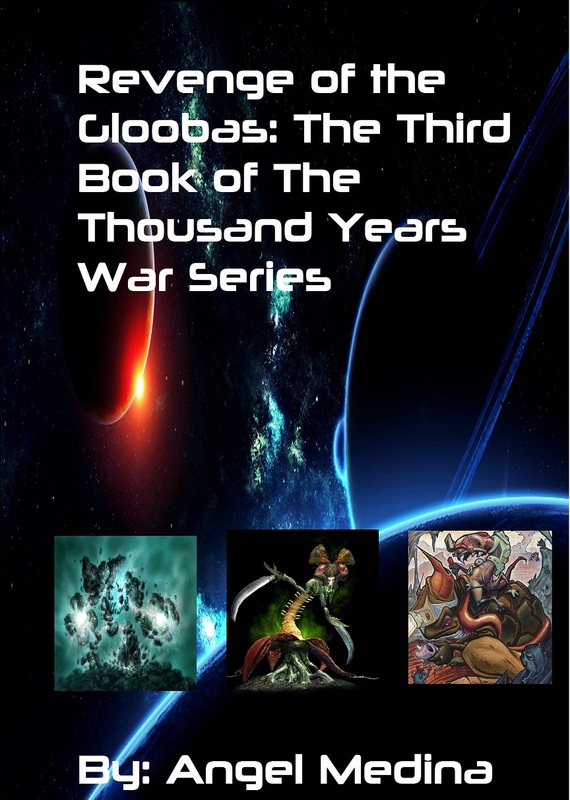 I have my third book Revenge of the Gloobas: The Third Book of the Thousand Years War Series, which is available for pre-order right now and it’s due for December 13, 2016. Also, I have The Day After Tomorrow which is my father’s memoir that I and he will be working on together, that will be out next year. Finally, I will be coming out with an Easter egg book revealing secrets of the first book that never made it into the final book. This includes areas never mentioned in the book, but played an important role in the story. There will be a more detailed description of the heroes and aliens, and alternative endings-- not all of them are happy. If you were looking for a sci-fi writer who is starting out and one that has a lot of heart in what he does, you're in luck. Bear with me and you might find yourself reading one of my novels, which I promise to be fun in their own individual way. The Thousand Years War series is an idea which is a bit complex, one that I have had since middle school. I try to stay out of reality and write books that will entertain people and take them on epic journeys to give people a bit of a reprieve from their rough daily routine. I see writing as an art, and if you give me a chance, I'll break the stereotype that reading is boring. I feel privileged to have this talent of being able to create something out of nothing and am sharing it with everyone. So whether you like to read or are an author like me, don't be afraid to approach me-- authors needing advice, or wanting to give me advice, you are welcomed! I'm a person who loves to create, not watch. I love to create worlds and characters. 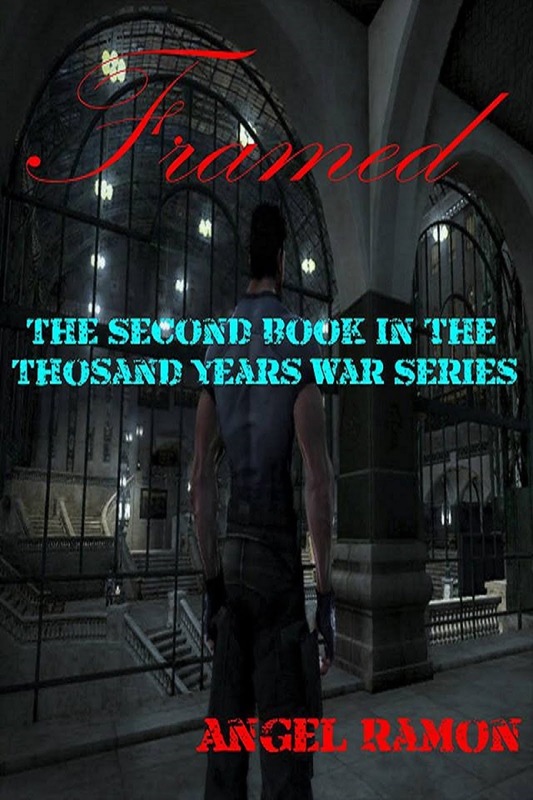 I have my first novel in the series already done and am on my way to finishing the second one. 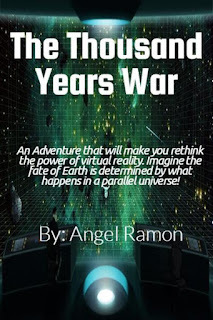 I look forward to connecting with many of you avid sci-fi readers and writers alike! 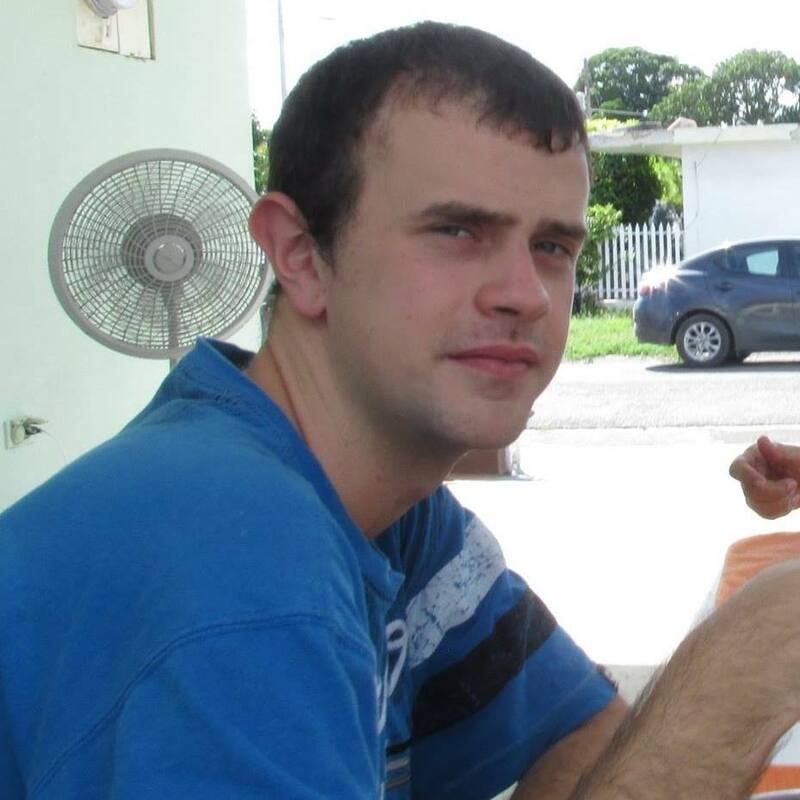 For the curious, I'm a humble man who lives in Puerto Rico. I also love baseball and to travel around the island of Puerto Rico. Be sure to check out other guest authors here.